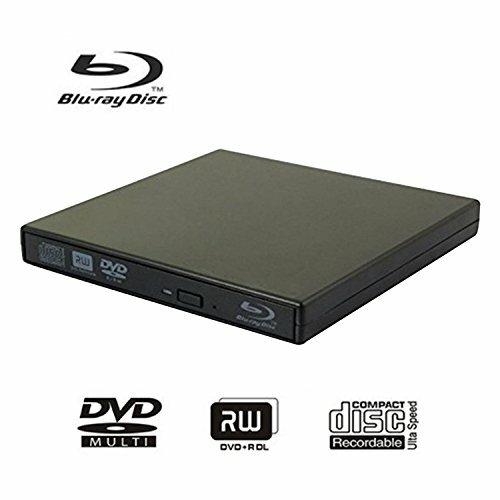 ---The blu-ray drive can not only read blu-ray discs and play blu-ray movies, but it also has all the functions of a burner. 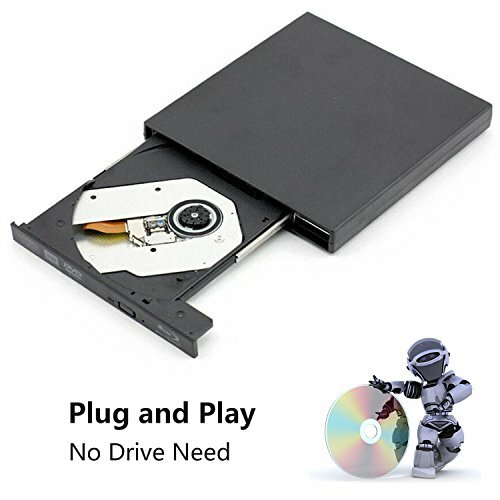 ---This drive is small, light weight, easy to carry, no matter where you go, you can watch movies, play games, listen to music, backup information, etc. 2、No external power supply is required, which is completely driven by USB interface. 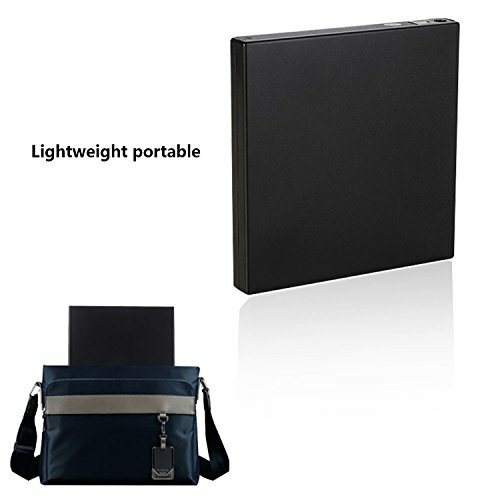 3、Support reading blu-ray disc and playing blu-ray movies. 4、Have all the functions of the recorder. 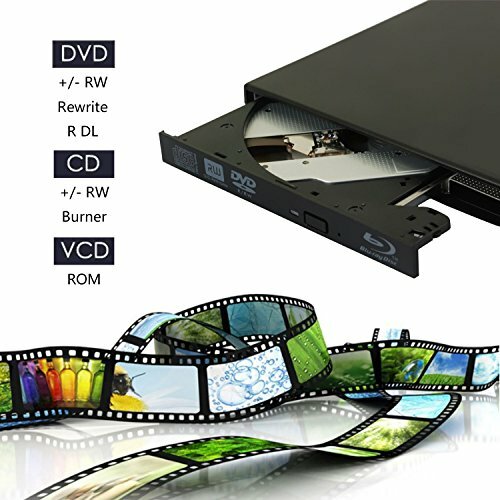 5、Supported CD format: CD text, CD, cd-da (audio), cd-i, cd-rom XA, mixed mode CD, photo CD, video CD, cd-rom, DVD video media. Optical Disk Loading Mode: Pallet Type. Reading Speed (maximum) : BD:6X, DVD:8X, CD:24X. 1.Please plug both of 2 USB cables into rear USB interface of motherboard directly. If you connect our external drive through USB hub,USB extension cable or frontal USB interface,it may can not run smoothly because it can get insufficient power from computer. 2.This external optical drive does not support installing Apple System. 3.Please place the drive on a flat and stable surface when using. 4.Do not stare at the internal laser beam directly because it may cause eye damage. 1 x Product instruction manual. 【Easy to Use】：plug and play.No additional drivers need to be installed.No external power adapter is required.Advanced chip, as long as connected to the computer USB interface can be normal use, you can use it to install the system, installed software, films, playing games, listening to music, copies of data and so on (note: this cd-rom can only play blu-ray discs, does not burn blu-ray discs). 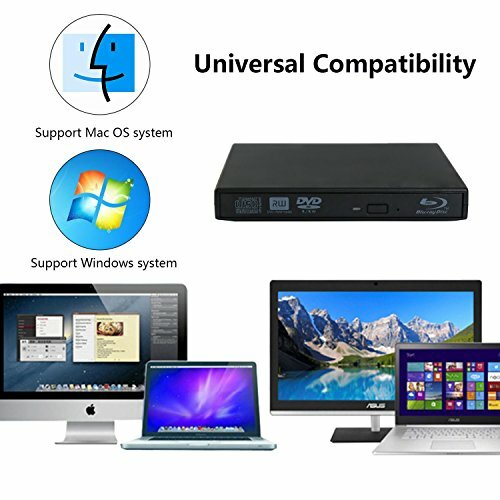 【Extensive Compatibility】：It applies to the MacBook Air and Windows, XP, VISIA, Mac os10.0, Linus and other systems.All laptops and desktops with USB ports are available. 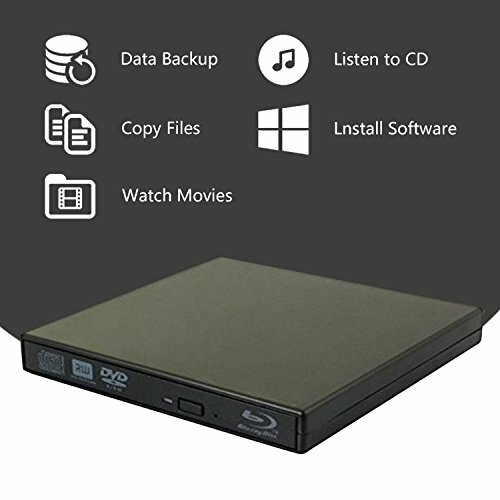 【superior performance】：This optical drive USES advanced anti-combustion chips.With strong error correction ability, anti-seismic, low noise, low power and other characteristics. 【Adjunct】：There are two cables, one is the data cable, the other is the power cable, which can provide electricity to eliminate the power shortage.When connected to the desktop, connect the two cables, or connect it to the computer's mortherboard.